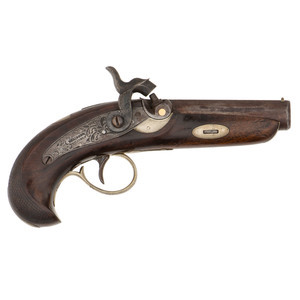 Cowan's Spring auction features a wide variety of fine arms and memorabilia spanning over 500 years of military and sporting arms innovation. 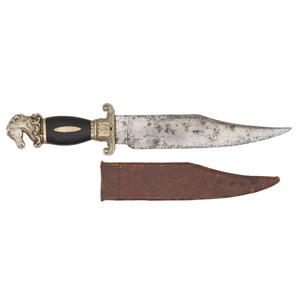 Collectors of fine European arms will have the opportunity to bid on several museum-worthy examples of the penultimate blend of martial power and artistic skill, including a pair of gilt bronze-mounted Ettersburg Castle flintlock pistols with barrels by Lazarino Cominazzo (Lot 48), a silver mounted Scottish steel pistol (Lot 43), as well as several ornate Spanish miquelet and snaphance pistols (Lots 27, 33, 37, and 42). Several valuable pieces of Japanese weaponry will also be available for bidding, including several pieces from the collection of Bill Koch. Included in Mr. Koch's impressive collection are an Edo period daisho (Lot 432), and a beautiful Koto-era (pre-1596) silver-mounted Tachi with Tokugawa crests (Lot 431). 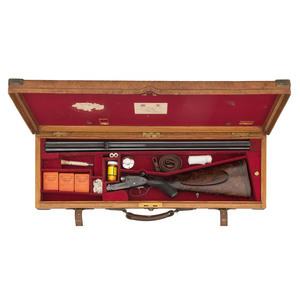 A majority of this sale features the sporting arms collection of Dr. Redmond McNeil, including fine hunting and target rifles and shotguns of all kinds, sure to satisfy the needs of any outdoorsman or competitive shooter. 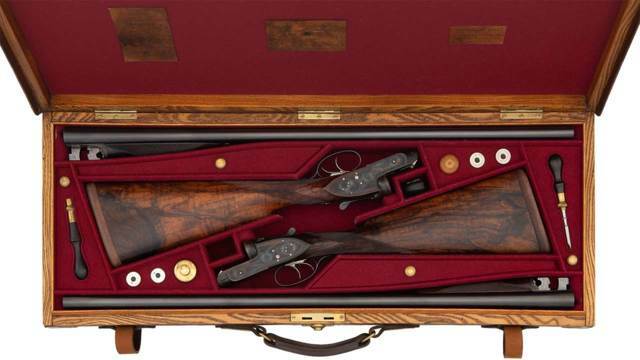 Some of the most famous and prolific names in the history of sporting arms make an appearance in this collection, such as a cased Purdey double rifle chambered in .450-400 (Lot 398), a cased Jeffrey double rifle chambered in .400 Express (Lot 402) and a cased Churchhill XXV Premiere (Lot 388). 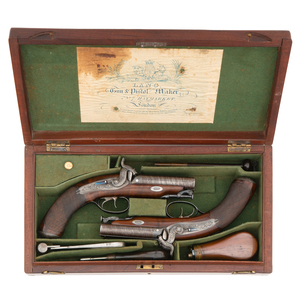 Additional lots include a cased Westley Richards paradox rifle (Lot 389), and a cased Holland and Holland double Rifle (Lot 396). Once again, Cowan's auctions has the honor of offering for bidding four incredible relics of the victory of democracy over Nazi fascism. Lot 165 on the first day of the two-day auction features a scarce United States Coast Guard flag from LCI9(L)-86, a headquarters vessel responsible for directing the landings on the Western sector of Normandy beach. Weathered and torn from its service in the largest seaborne invasion in human history, it would be hard to upgrade such a distinctive trophy. Also included are a silver platter presented to Adolf Hitler at the 1933 Der Stahlhelm reunion (Lot 164), a portion of the tail of a German BF-109 fighter destroyed in Italy (Lot 163), and a collection of table linens linked to the notorious head of the German Luftwaffe Herman Goering (Lot 162). The May 2 Firearms and Accoutrements Auction will feature nearly 400 additional lots from many of the same collections featured in the Premier Auction.